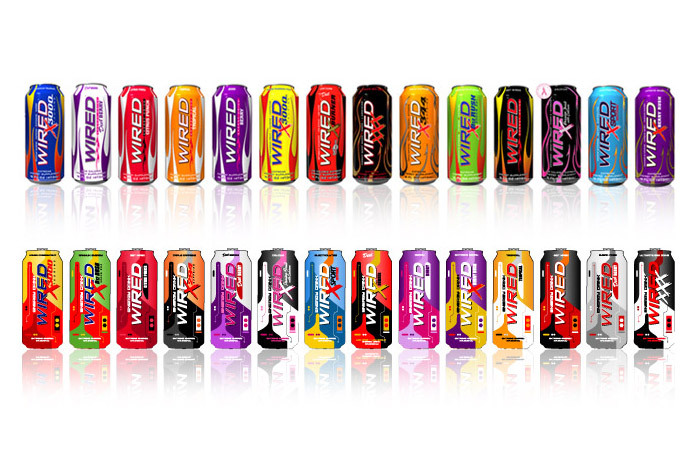 Proposed can redesign for Wired energy drinks. Old can designs were inconsistent cliche, using flame graphics as livery. New cans are uniquely styled and have consistent livery targeted around technology to promote the brand name, rather than detract from it. Detail of can designs for varios products.